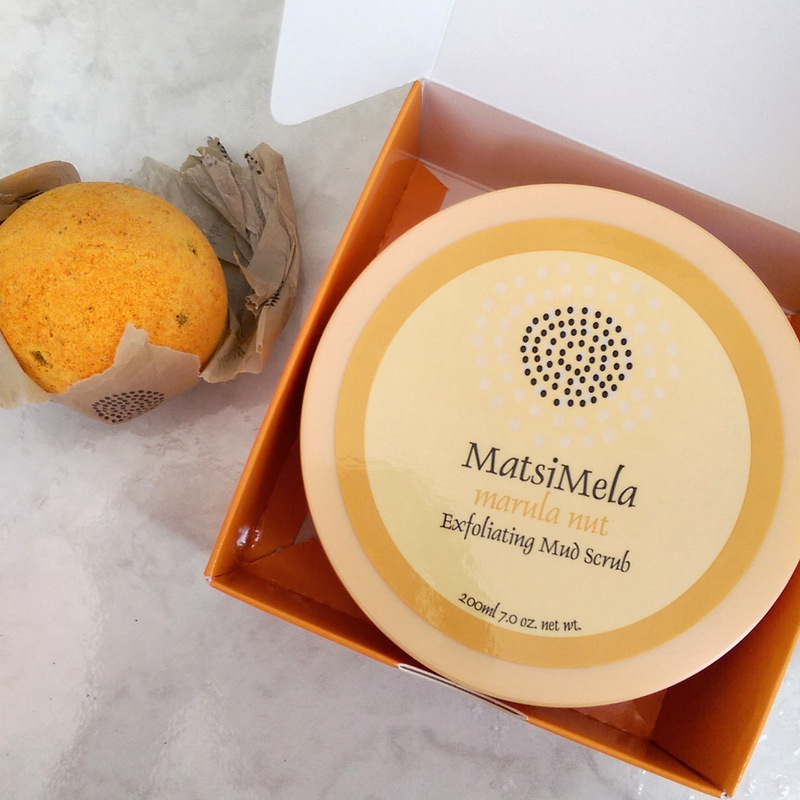 For those not familiar with the brand, Matsimela is a proudly South African, cruelty-free range of home spa products made using natural ingredients sourced from rural communities in a bid to help uplift them. 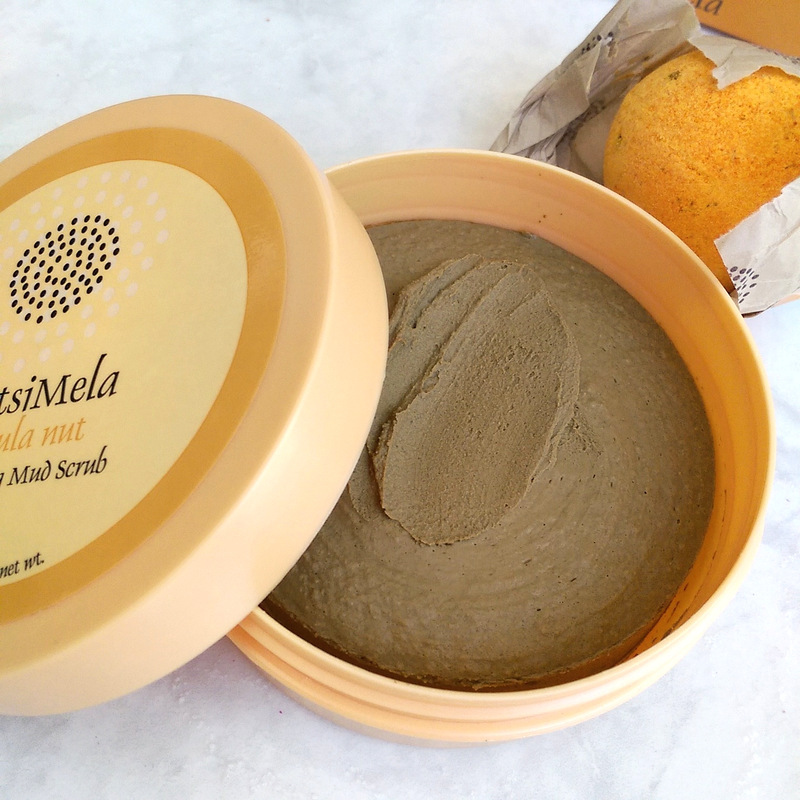 I was sent two items from their Marula Nut range (they have several including Rooibos & Honey and Litchi & Rose) and really liked the Exfoliating Mud Scrub (R103,50, Matsimela). That mini Marula Nut fizz bolletjie on the left is just R19,80. While it looks exactly like chicken liver pate (and will make you hungry to look at if you love it like I do), its ingredients include hydrating marula nut oil but the main ones are bentonite clay and silica sand. I really didn’t expect it to be exfoliating and thought it would be kind of like a mud mask with a slightly grainy texture but oh boy did I underestimate this guy. It exfoliates like a boss! Even more so if you apply it to slightly damp skin as opposed to wet. It did a bang up job of removing old self tan and now it’s on my list of favourite super scrubby scrubs – the only kind I like to use. Anyone got melba toast so we can dig in? 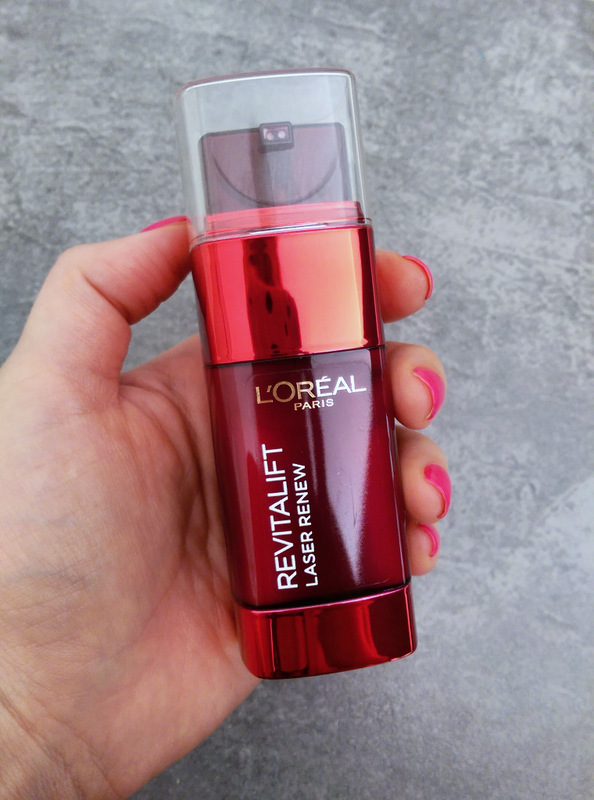 Moving on, L’Oreal have added to their Revitalift Laser Renew line with a new serum called The Double Care (R260, Clicks). It makes use of a stable form of vitamin C (a collagen-encouraging antioxidant with brightening properties) at a very mooi 2% as well as something L’Oreal refer to as Pro-Xylane. A naturally derived ingredient, Pro-Xylane helps stimulate your skin to create glycoaminoglycans (GAGs) that help defend your skin against water loss, so you could get away with calling it a ‘plumper’. However, for good measure, the formula also contains mega water-binder hyaluronic acid. Props to L’Oreal for the airless packaging. I’m not sure if this piccie makes it clear but it’s one of those dual-chamber bottles that mixed two fluids together when you pump it. While I wouldn’t rely on this as a sole solution to zapping wrinkles (for this, retinol is possibly your best ally), it could temporarily plump up your skin to soften the look fine lines and anything that helps preserve your natural collagen stash is a good thing. However, where this really shines is in the instant beauty benefits department. It’s got a whopload of silicones in its mix so it feels fabulously silky and acts like a primer, instantly blurring the look of pores and fine lines. 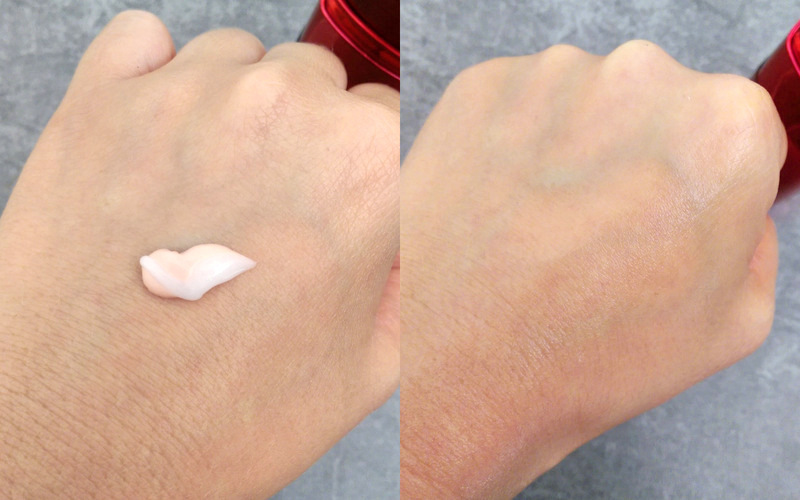 If it stopped there you’d be looking at a matte finish but, thanks to a quick mix with a pearlescent fluid from its second chamber, then end result is ‘blurred with a beautiful glow’ – almost like you used a perfecting primer then gave your skin a light dusting of highlighting powder. Pumped on the left, blended on the right. It’s tough to capture the gleam but it’s there. Clicking on this pic will enlarge it and vastly improve the quality. Because of this, I’d be loath to apply a moisturiser and foundation on top of this as you’d lose the effect. Luckily, being oily-skinned, I can use this on its own without the need for an extra hydrator and then spot treat with a little concealer where it’s needed. If you’re in the same boat, this is a nice pick for a day time ‘flash beauty’ pick me up. Lastly, let’s chat about Indola. A German professional hair care brand, Indola was specially developed for smaller salons to offer them top-notch quality at an affordable price, but is now available at Dis-Chem. 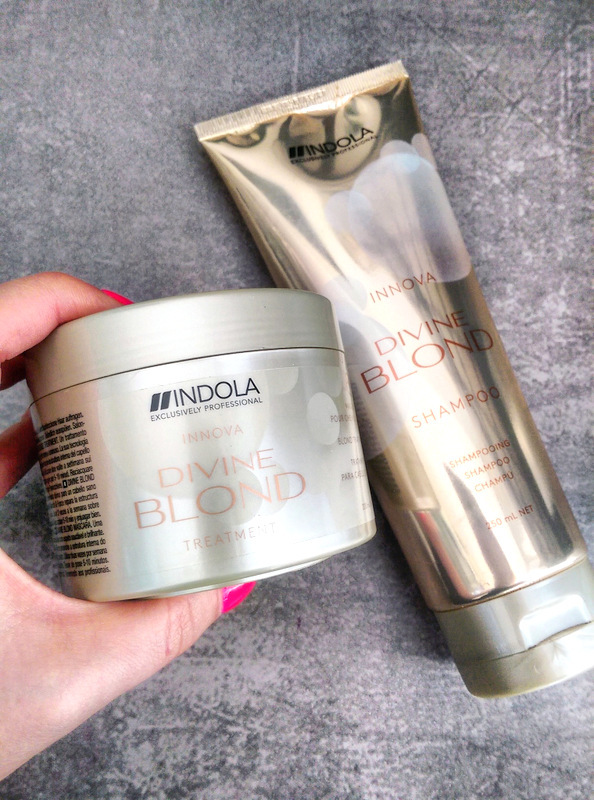 I learned all this at a recent launch where I left with an Indola Innova Divine Blond shampoo (R170, Dis-Chem salons) and treatment (R200, Dis-Chem salons) tucked into my sakkie. Anyhoo, I liked that the shampoo cleansed my fine, highlighted hair very well but didn’t leave it feeling stripped. But the real star here is the treatment. A small amount goes a long way and I left it on for two minutes (not even the required five to ten as I was in a rush) but it worked like a charm. My hair was hydrated to the point that, while drying, I didn’t have to reach for a spray-con detangler (a miracle that doesn’t happen often) and, when dry, it was still left with a bouncy swish. (There are loads of deeply hydrating products out there that would make brushing my wet hair a breeze, but then it’s left looking limp and flat.) So here’s a big ‘yay!’ for that.